I know, another salad. But it's summertime, so hear me out. It's not a boring salad! And look! There's wine too! This salad feels fresh and indulgent, but won't leave you stuffed to the max. A perfect summer dinner in my opinion. 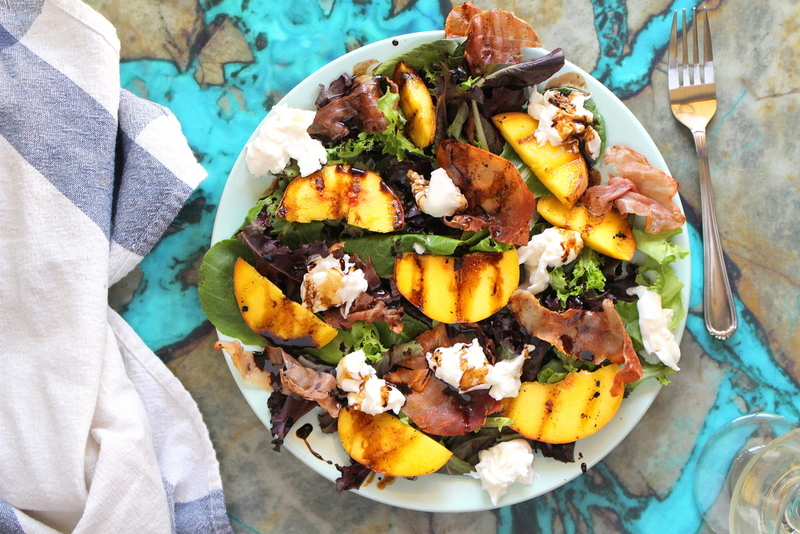 Grilled fresh peaches, crispy grilled prosciutto, torn burrata, then topped with a balsamic reduction...how could you go wrong with all of that? You could serve this as a main, or a side with grilled chicken. Just make this, you won't be sorry. First make the balsamic reduction, it can cool while you prep and grill the rest of the ingredients. Bring the vinegar to a boil over high heat, once boiling reduce the heat and simmer for about 10 minutes or until the vinegar reduces by about half. Remove from heat, and set aside to cool. Don't stick your face over the boiling vinegar either, huge mistake. Get your grill nice and hot, I had mine at a medium-high setting and let it heat up for about 10 minutes. Grill the peaches, about 2 minutes on each side, you want those lovely grill marks. But don't grill long enough to make the peaches soggy. Grill the prosciutto, about 5 minutes on each side, until crispy. 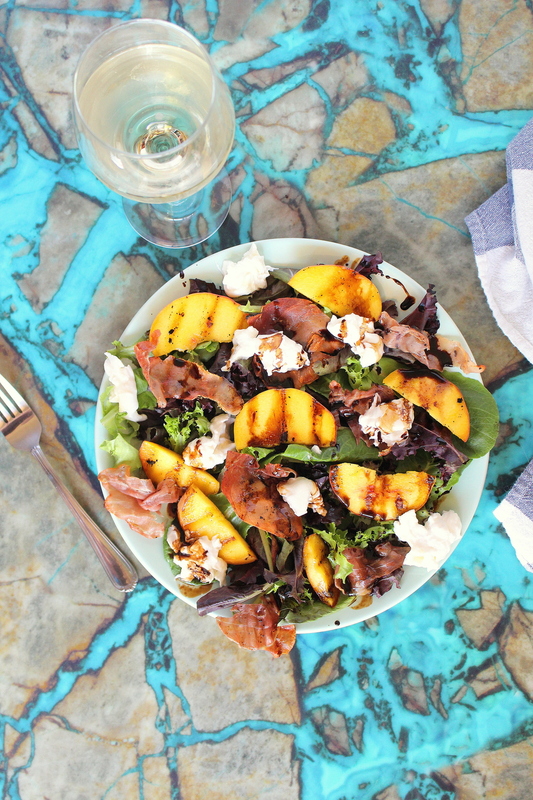 To assemble, lay down the greens and top with the peaches, prosciutto, and burrata. Then drizzle the balsamic reduction on top, and stuff your face. 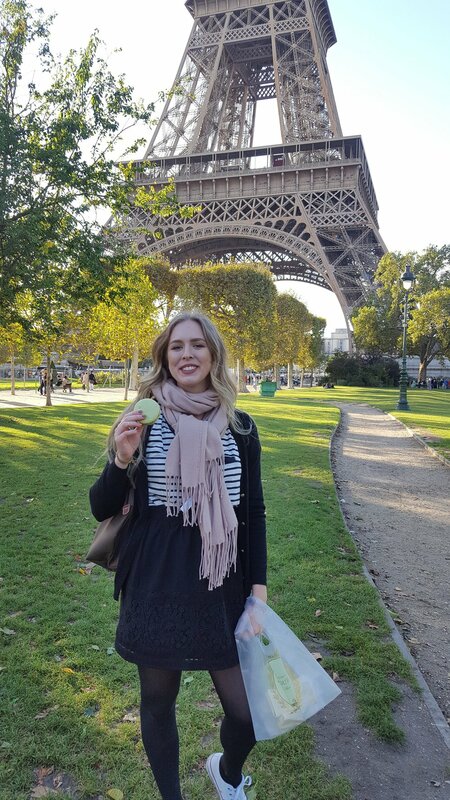 Yes, ice cold wine is necessary.